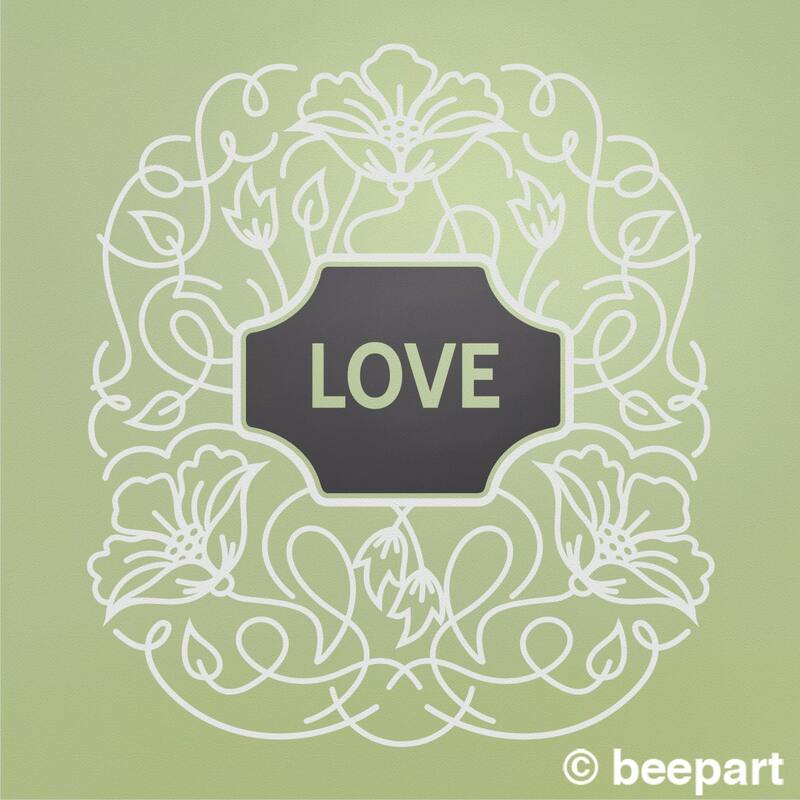 Our decorative floral vinyl wall decal is a modern design that can be customized with a name or word of your choice. 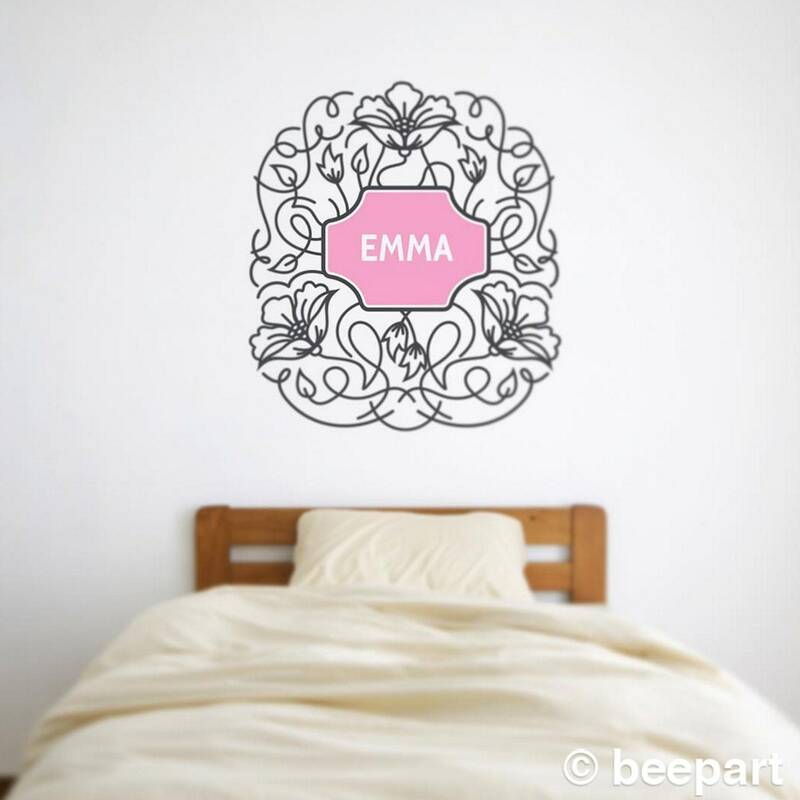 Great for a personal touch in a child's room or nursery! -Large size measuring approx. 31" wide by 35" high. Regular size installs in two sections and the large size installs in three sections. *Custom sizes can be accommodated, please contact us for details. -Select your size preference, input your custom text and add the item to your shopping cart, follow checkout instructions. 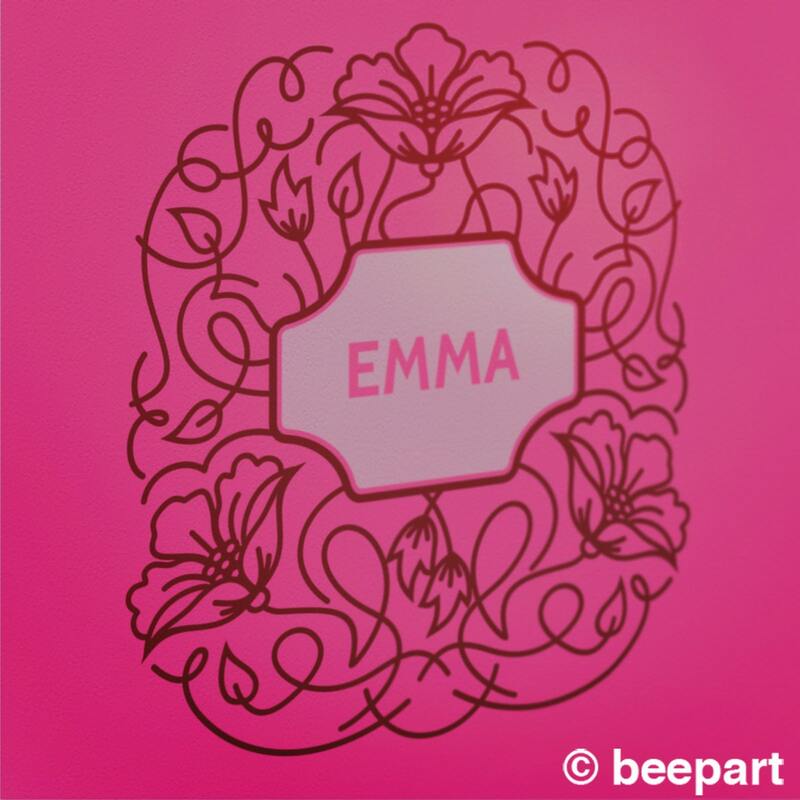 -Let us know your color choices for the inner name plate as well as the outer floral design in the 'message to seller' window. 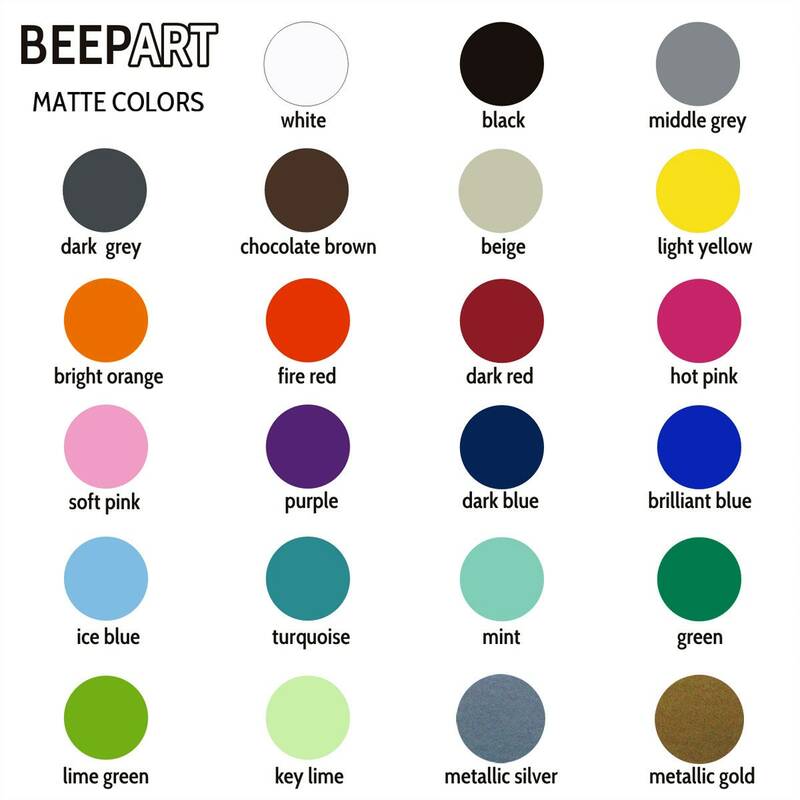 Please refer to the item images for our color chart.